Across the United States, gun laws have been institutionalized based on the given state. Based on the 2nd amendment, all residents of the United States have the right to bear arms. There are specific laws in every state that dictate how the firearm can be carried and what licensing is required. In the state of New Hampshire, the current laws may be about to change if Senate Bill 12 continues to gain momentum. Senate Bill 12 is sponsored by Senator Jeb Bradley of New Hampshire and would eliminate the current requirement that individuals who carry a concealed weapon must have a permit to do so. The House Criminal Justice and Public Safety Committee has passed the bill with a vote of 12 to 8 which now moves the bill to the House where it will be considered by all members within the House of Representatives. Voters can contact local representatives urging that the bill be passed or voted against. Currently, state law in New Hampshire recognizes that any citizen who is legally capable of owning and possessing a firearm has the right to carry it openly. The firearm can be loaded or unloaded and carried anywhere in the state, with no prohibitions in place. If the firearm is covered in any way, then the individual must have a permit for concealed carry. This would be a concealed carry handgun license. An example of this would be if a female citizen of New Hampshire wanted to carry a firearm in her purse. The female would have to have a license to carry the weapon with a concealed carry handgun license in place. With the proposed legislation, the female would be allowed to keep the handgun on her person or in a purse concealed, without having additional licensing. Senate Bill 12 seeks to extend permitless open carry to permitless concealed carry. This means any law abiding citizen who owns a gun would be able to carry the firearm seen or unseen anywhere in the state. Along with the licensing changes, the bill will also extend the time frame in which the licensing is valid. Currently, licenses are good for four years. However, if the bill were to pass, license holders would have a five year time frame before a renewal is required. Similar legislation was proposed last year but was vetoed by the former Governor of the state Maggie Hassan. Legislators are more confident this year that the bill will pass especially if citizens become more active and voice their support in the matter. 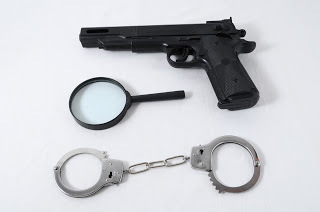 Criminal defense lawyers in New Hampshire commonly see cases that involve open carry or concealed weapon issues. If this bill passes, individuals would have more support when it comes to carrying firearms as law-abiding citizens. The law would be on their side if any instance comes up where an individual is charged with carrying a weapon unlawfully or other problems arise. Residents of the state will now have to wait and see how the full House votes and if the legislation will be moving forward, becoming law.